If you’ve traveled across multiple time zones, you are familiar with the way jet lag can wreak havoc on your sleep cycle. Jet lag can leave you feeling sluggish when you need to be energetic and with eyes wide open when you need to be sleeping. Of course, after sufficient time spent in the new time zone, your body adjusts accordingly. But if you need to be ready to race or train when you land at your destination, how can you speed up that adjustment process and minimize the impact of jet lag? Your circadian rhythm adjusts to the local environment by relying on exogenous cues- that is, cues external to the body. One of the most important of these cues is light. This means you need to expose yourself, namely your eyes, to the patterns of daylight found at your new time zone. You can begin this process in advance of your travel; but at the very least, you should begin doing this on the plane and immediately upon arrival. In advance of your travel, determine when it will be morning in your new location and expose yourself to light at that time. This will be especially important if you are traveling east. Let’s say you live on the West Coast and are traveling to the East Coast where the sun comes up at 7:00 am. That translates to 4:00 am on the West Coast where it is still dark. In advance of your travel, try to wake up earlier and turn on a fluorescent light. Research shows that wavelengths in the blue end of the spectrum are most beneficial to entraining the circadian clock, which means fluorescent lights are better than incandescent bulbs in providing light cues to your brain. 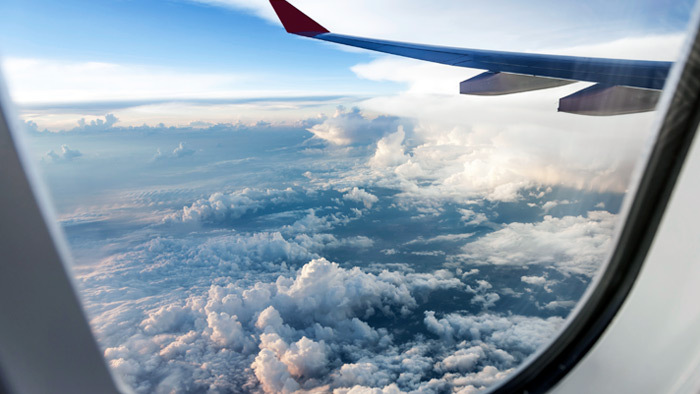 On the plane, you can sit next to a window and look outside to receive light cues depending upon your travel time and destination. Granted, this can be difficult since many flights, especially long transatlantic ones, tend to feel more like dark movie theaters with the shades drawn so the onboard video screens don’t get washed out. In that case, you can carry a small flashlight to do the job. Turn it on and position it next to your head. Don’t shine it directly in your eyes and avoid annoying your neighbors; you simply need to provide some small light cues to the corner of your eye. Once at your destination, try to go outside after waking up in the morning for a short walk in the daylight. Unless it’s raining, even the ambient light on a cloudy morning is more effective than the light you will be exposed to indoors. You can further aid your adaptation by spending as much time outdoors as possible during the day after your arrival. Just as light in the morning is beneficial, light in the evening is counterproductive because it will signal to your brain that it is time to wake up rather than go to sleep. So avoid lights, including computers and other screens, at night. I also find it helpful to take a walk outside in the evening as the sun sets. As the sun sets, the shift in light away from the blue end of the spectrum toward the red acts as an important signal to the body that it is time to sleep. Exposing yourself to light cues in the morning will go far to helping you adjust your sleep schedule. But what about falling asleep at night when your mind and body still think it’s daytime? To maintain its circadian rhythm your body releases hormones in anticipation of sleep at night. This is one of the reasons why you start to feel tired around your normal bedtime. In particular, the hormone melatonin takes part in this process. Although your body naturally releases melatonin at night, in a new time zone the timing of that release will be off. But you can take melatonin as a supplement to help reset the cycle. Melatonin can be purchased over the counter in a variety of dosages. As with any supplement, the lowest effective dose should be used. It works best by placing a tablet under the tongue to dissolve when getting into bed. In my experience, it works quickly and doesn’t make me feel groggy in the morning like other pharmaceutical sleep aids. Consult with your doctor to determine whether it might be beneficial for you and in what dosage. Herbal options to prepare for sleep include chamomile tea or sleepy time formulas with valerian root. Drink a few cups of tea in the early evening in advance of your new bedtime, but not so much that you will disturb your sleep with trips to the bathroom! Also, it should be obvious, but avoid coffee or other forms of caffeine starting in the afternoon. Save the coffee, green tea or yerba mate for the morning when you need to wake up. And when you find yourself lying in bed with mind and body wide awake despite all of the above, focus on slowly breathing in and out to relax. Aim for a calm, consistent rhythm so that breathing out takes the same amount of time as breathing in. Breathe through the nose and count your breaths to yourself. To block out any ambient light, wear an eye mask. Your stomach’s clock is also integrated with your circadian rhythm. This means you can aid your adjustment to the new time zone by switching to the new meal schedule as soon as possible. This can be done in advance of your trip or en route. To avoid hunger pangs in the middle of the night when your new time zone requires sleep instead of sitting down for a meal, be sure to eat a good dinner in the evening. And if hunger pangs hit in the middle of the night, ignore them. Tell yourself that getting up for a midnight snack is out of the question. You need to adjust to the new eating schedule and midnight snacks will only impede that process. Even if you’re not crossing time zones, body clocks that are out of sync can impair health and optimal performance. So the tips for dealing with jet lag also hold important implications for athletes at home. Maintain a consistent schedule to keep your body clocks in sync and you will be well rested to take on the challenges you face. Adam Hodges, Ph.D., is a USA Triathlon certified coach and American College of Sports Medicine certified personal trainer. 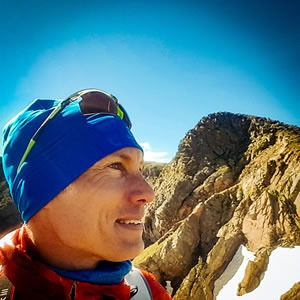 In addition to coaching multisport athletes, he has coached high school cross country and track runners in California and masters swimmers in Colorado. As a USAT All-American triathlete, he has competed in the ITU World Triathlon Championships, the ITU World Duathlon Championships, and the Ironman World Championships in Hawaii. As a masters runner, he has won a series title in the XTERRA SoCal Trail Series. Learn more about his books and training resources at www.alpfitness.com.